Welcome to the Tristram Plants website. 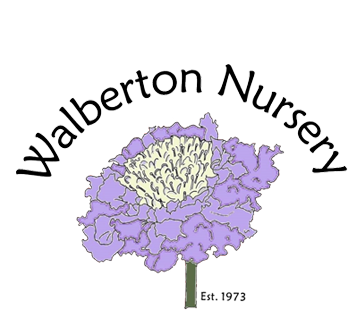 We are Walberton Nursery (founded in 1973 by David Tristram), Binsted Nursery (founded in 1978 by Rosemary Tristram) and Fleurie Nursery (founded in 1986 by Chris and Martine Tellwright), nestled between the South Downs and the southern coastal plain in West Sussex. All three businesses are now led by Mike Tristram with Managing Director Marc Jones and Directors Martin Emmett and Steve Carter. Together with Star Plants and Toddington Nurseries, we form The Farplants Group - a cooperative of businesses supplying over 2000 varieties, worth more than £50 million retail. Walberton, Binsted and Fleurie Nurseries operate across almost a dozen sites in the local area and employ 115 permanent members of staff, who with seasonal helpers, grow 7.5 million plants a year to sell through Farplants to garden retailers up and down the country. Click on the links below to read more about how the businesses began, or scroll down to view the Tristram family history. David Tristram, plantsman and plant breeder, founded Walberton Nursery and also helped his wife Rosemary when she founded Binsted Nursery. Although a chemist by training and a brewer of Guinness by first career, David had grown up in a family tradition of gardening and amateur botany, and of wider fascination with the natural world. A family hero in this respect was Canon Henry Tristram FRS, a great 19th-century natural historian and writer who participated keenly in the Darwin debates. His special interest was in ornithology and he had several bird species named in his honour including Tristram’s Grackle which he discovered. Other animals and birds that carry Henry’s name are Tristram's Jird (a gerbil in Turkey), Tristram's Storm Petrel, Tristram's Warbler, Tristram's Starling, Tristram's Woodpecker, Tristram's Serin, Tristram's Bunting. In 1879, Henry married David’s grandparents at their Sompting Estate home where David’s father Guy would grow up. In Guy’s generation, the Tristram family interest in nature became more strongly focussed on plants. Guy Tristam served in the Royal Artillery in India, and in France in the First World War, becoming a Major. He shared with his wife Ruth Cardew a passion for wild flowers and gardening. Ruth like her mother before her was a botanical illustrator; she was elected a Fellow of the Linnaean Society for this work. They loved the wild flowers on the downs of their estate at Sompting, and made a beautiful garden around a millpond in their Sussex home. Guy was surrounded by horticultural influences at Sompting, where he later planted a garden for his parents at Lyons Farm. Among his friends with common interests were John Pullen-Burry who had mobile glasshouses at Rectory Farm Sompting and built Lyons Farm Nursery; also the artist Garnet Wolseley whose mother had taught and written books about horticulture. A Tristram family interest in horticulture went back to their 18th-century ancestor John Tristram who developed a new type of glasshouse. During World War II Guy lectured at the school of gunnery in Stoke-on-Trent where he raised in his garden in the Potteries a seedling hellebore still well-known as “Potter’s Wheel”; he also bred Rose ‘Toby Tristram’. And so a Tristram family tradition of plant breeding and growing was added to their interests in botanical recording, painting and photography of wildflowers. David Tristram as a young man in the 1940s was taken by his uncle Jack on motorbike tours to Ben Lawers and Glen Clova in Scotland with the later renowned botanist Francis Rose, to find uncommon wild flowers and photograph them with plate-glass film cameras. Later he returned to find more with a fellow student and amateur botanist, Guy Harris. Rosemary Tristram (nee Roberts), Guy’s cousin, was an early female student at Oxford – and there Guy introduced her to David. 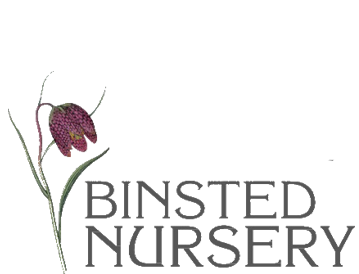 She quickly caught the plantsmanship bug as they built a 5-acre garden together in their first married home, then working with David when he started Walberton Nursery, until she founded Binsted Nursery to develop a growing market in herbs and alpines. Mike Tristram grew up in Ireland, where his father David bred Crocosmias and other new plants in beds of spent hops from his work at Guinness’ brewery, and taught the young Mike to appreciate wildflowers. It was this family love of wildflowers and gardening which brought Mike Tristram in to his parents’ commercial horticulture nurseries, as a second career from the late 1980s. In 2017 Mike brought Walberton and Binsted nurseries together to form the Tristram Plants group.